Mail in rebates are a great way of getting to spending thresholds for promos without spending too much or trying new products. It is always a good idea to ask for a duplicate receipt if you need to mail one away, just in case another item on the receipt needs to be returned and for proof you did the rebate. More and more rebates allow for online uploading, which is great as you can buy multiple products on the same receipt. Buy $15 in Energizer batteries before taxes in a single transaction and get a $5 virtual Visa gift card. You can upload receipts through February but must buy before January 30th. Offer valid with the purchase of any combination of participating PepsiCo products for a total of $20 or more (before taxes) between January 1, 2017 and February 14, 2017 in the same transaction. Receipts must be uploaded by February 17, 2017. Allow 4-6 WEEKS AFTER February 17, 2017 for delivery of coupon booklet by mail. Limit one (1) offer per address or household. While supplies last. Finish Quantum Max, Quantum Max Power&Free, Max in 1 or Max in 1 Power&Free (18ct or larger) and get up to $8 rebate by mail. Purchases must be made between January 23, 2017 and February 28, 2017. All requests must be received before March 28, 2017. Finish Dishwasher Cleaner, Jet-Dry, Quantum® Jet-Dry (200mL or larger) or Dishwasher Freshener and get up to $6 by mail. Purchases must be made between January 23, 2017 and February 28, 2017. All requests must be received before March 28, 2017. Resolve Gold Oxi-Action (Powder or Gel, 625g or 1L), Resolve® Oxi-Action (Powder 765g), or Resolve Crystal White (Powder 765g) In-Wash Stain Remover and get up to $8 rebate by mail. Purchases must be made between January 23, 2017 and February 28, 2017. All requests must be received before March 28, 2017. Last edited by FallenPixels; Tue, Jan 31st, 2017 at 07:55 AM. Silk, hcao, lotsasavings and 15 others like this. The rebate will almost always have a form, and rebate forms can be found in many places. Some rebate forms can be printed from the internet, some can be found on store shelves, some are in magazines and some can be found in the coupon inserts that come in the newspaper or with your flyers. Occasionally a rebate will only need you to write your name and address on a blank piece of paper but these rebates are rare. This is the form we are going to use an example (because the fine print is actually legible!) This rebate was advertised in the Sobeys flyer and the forms were found on store shelves. Most rebates have a time frame for completion. 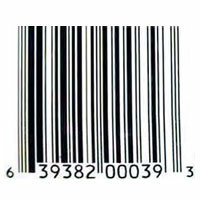 There is usually a period of time when you can purchase items (July 29 - August 11 in our example) and the receipt must be dated on one of those days. Pay attention to the start date - sometimes rebates are included in coupon inserts that are delivered early with your flyers or newspaper. You may receive the form a few days before the rebate actually starts. Make sure to purchase the item(s) on or after the start date. The last date is still a valid date for doing the rebate so if you didn't get a chance to do the rebate before that date, it is still okay to do it on that date (August 11 in our example). If the last date is also the day the form needs to be postmarked by, then you need to be extra careful when mailing it. Most mailboxes have certain pick up times and if your envelope is placed in the box after that time, it will not be picked up that day. That means it will not be postmarked until the next day. If you are mailing a rebate that needs to be postmarked by today, then it is best to go into a post office and mail it at the counter, and make sure the clerk stamps it with today's date. Most rebates will usually have a postmark date that is a few weeks after the last purchase date. In our example, the last day for purchasing is August 11 but the form doesn't need to be postmarked until August 30. This gives us some time to fill out the form and get everything mailed. Some rebates will say they need to be received by a certain date. This means you will need to mail the rebate well before that date. Canada Post states that nationwide mail takes about a week, but to be safe I would mail it at least two weeks before the receive by date if at all possible. Notice the first part of the rebate - we need to purchase specific items and sizes and spend more than $20 before taxes. This is very important. If you spend $19.99 or purchase the wrong item(s) you will almost certainly be rejected, so always read the rebate form very carefully. The store should be able to give you the subtotal before taxes so you can make sure it is at least $20. Also note that this rebate is only valid at Sobey's - if you purchase the items elsewhere, you will not receive the gift cards. Part 2 on the example form is in nearly every rebate. There are very few rebates that do not require you to circle the participating items on a dated cash register receipt. It is best to use pen when circling the items. Highlighter can smudge the ink so it is not a good idea to use it - if the rebate centre can't read the receipt, they can't approve the rebate. Also note that the items must be purchased in the same transaction - this is also very common in rebates that require a purchase of a certain amount. Multiple receipts totalling $20 will not be accepted. Some rebates will require you to cut this off the item's packaging and include it in the envelope. I would recommend taping or gluing it to the form or on a blank piece of paper so the small UPC is not loose in the envelope. There may instead be a special token or symbol on the package that needs to be included in the envelope. This should be clearly spelled out in the instructions. Part 3 on the example form should be pretty easy to follow Just make sure to fill it out completely and legibly so the rebate centre knows where to send your gift card. 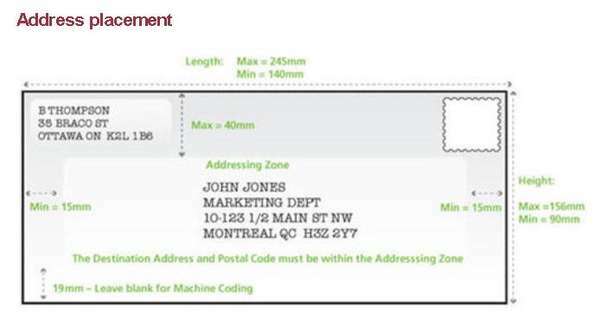 Here is a tip from $stretcher: If you have a stamp with your return address on it, that can be stamped right on the form. Even if it doesn't line up perfectly, it should still be more clear and legible than filling it out by hand. Thanks for sharing that great tip, $stretcher! Part 4 on the example form explains where to mail it. The phrase "with sufficient postage" means that you need to make sure to put a stamp on the outside of the envelope you are mailing to the rebate centre - they will not cover the postage to get your form and receipt to them. They will however cover the postage to get the gift card to you, so you don't need to worry about that. If you are getting a cheque back from the rebate and the form says the cheque will include postage, you will still need to put a stamp on the envelope you are mailing. The cost of postage will be added to the cheque they are mailing you. If a rebate form says you need to include a "self-addressed stamped envelope" then that means you do need to cover the postage to get the rebate back to you. Inside the envelope you are mailing to them, you must include another envelope that is empty and not sealed that has your name and address on it and a stamp on it. 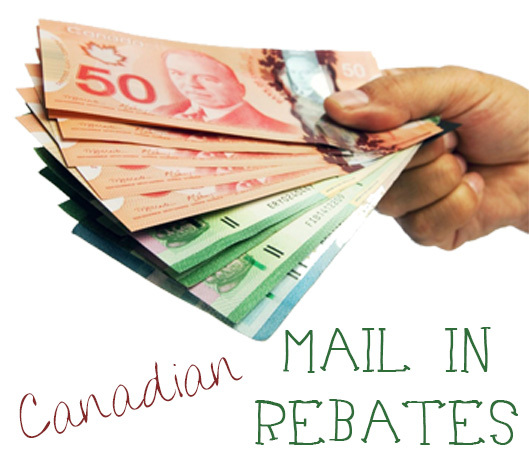 The rebate centre will put your gift card/cheque/whatever you are getting from them inside that envelope and mail it back to you. Make sure you include a return address on the outside of the envelope. In the image above it is in the upper left corner. It can also be written on the back of the envelope at the top. If the envelope somehow can't make it to the rebate centre (gets damaged, incorrectly addressed, insufficient postage), if there is a return address on it, it will go back to you - hopefully in time for you to resubmit it. Some rebates require a return address on the outside of the envelope. Make sure everything is correct - your address most of all. Even one wrong or unclear digit and your neighbour could receive your rebate! Read over the entire rebate form and make sure you didn't miss any details. If you needed to spend a minimum amount, add it up again. If you had to buy certain items, make sure they are the right size and type. Is the address to the rebate centre correct? Did you remember the stamp? We are almost done, but don't seal it yet! Make sure to photocopy or scan to your computer the receipt, your form and anything else you need to include (like a UPC) if at all possible. This way you have documentation just in case the rebate gets lost in the mail or if you have any problems receiving it. It's also good to have for your records. Okay, you have done everything, and checked it, and you are ready to put everything in the envelope, seal it, and drop it in the mail! Congratulations, you just did your first rebate Now you'll have to be very patient since most rebates take weeks to arrive. If you made a photocopy, it's a good idea to write the date you mailed the rebate on it so you know how long you've been waiting. If you didn't copy it you could write a note on your calendar or keep a spreadsheet. If you did a rebate and the time stated on the form has passed but you haven't received it yet, don't panic - it will almost certainly show up. The forms often underestimate the time it takes to receive the rebate. Most rebates have a thread just for them on SmartCanucks. If many other SC'ers are reporting they haven't yet received their rebate either, the company could just be behind on processing. Sometimes the company runs out of gift cards and can't process the rebates until they get more. If it seems like everyone but you has received the rebate, it might be time to contact the company. I would generally suggest waiting two weeks past the time on the form (so 12 weeks if it says 8-10) before trying to contact the company. If the rebate is only valid at one store or chain (like the Sobeys rebate in our example) I would start by contacting that store. You could call or use the "Contact Us" form on their web site to ask for information about the rebate. If the rebate is brand specific, you could call or use the Contact Us form on the brand's website. In either case, googling the store or brand name should help you find the web site or phone number you need. For a brand, there might be a phone number on the product you purchased. If the number or site you googled is not the proper place to contact, the customer service rep should hopefully forward you to the right number or web site. It may seem like rebates are incredibly difficult and hard to actually receive, especially since I stress filling it out carefully and making a copy in case something goes wrong. But the vast majority of the time, you will receive your rebate in the time specified on the rebate (sometimes 4-6 weeks but usually 6-8 or 8-10 weeks) and have no problems at all. I am an avid rebater and while some rebates have not been very smooth (Loblaws Double Your Coupons, I am talking about you!) the vast majority I have received within the time stated (or less - I received a Whiskas rebate less than two weeks after I mailed it!). Rebates can be a great way to try a new product at the price of a stamp or get gift cards for stores where you shop. I hope this guide was helpful and if you have any comments, suggestions or problems, please PM me and I will be happy to update or clarify this guide, or help you with any problems. wendymac, cmagnum, Silk and 7 others like this. Thank you for creating new thread. I hope there will be more rebate VIA ONLINE SUBMISSION this year. wendymac, FallenPixels, barbis9 and 3 others like this. wendymac, hcao, barbis9 and 5 others like this. Thanks for the thread, FP! FallenPixels and barbis9 like this. what does your status say on the site? mine says it cannot be found but i only submitted it mid-december so it's understandable. is your's processing? Since they received my MIR in October, it's been at the same status with this message "We have received your claim and it is currently being processed. Please allow up to 10 weeks from the date your claim was received." barbis9 and elusive like this. wendymac, FallenPixels, hcao and 1 others like this. wendymac, barbis9, SavingYourHardEarnedMoney and 2 others like this. barbis9 and rockco like this. FallenPixels and rockco like this.